the must have fire for the future. 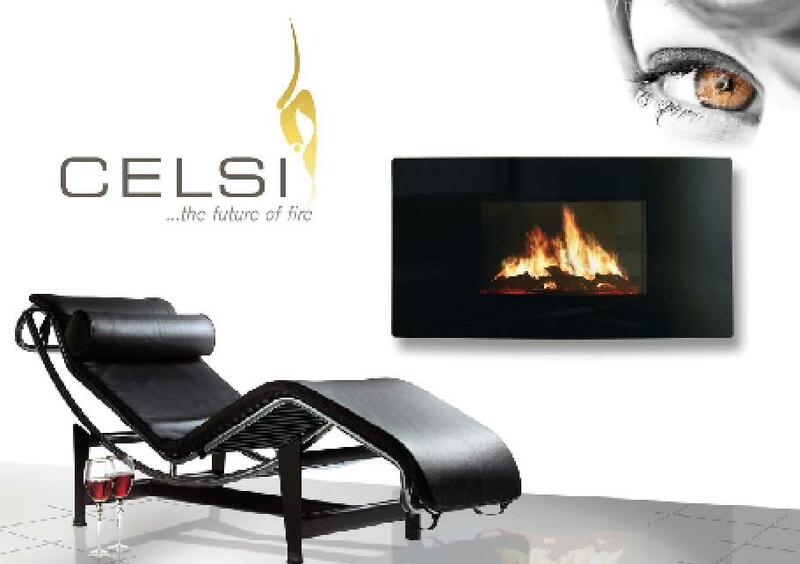 Combining the very best contemporary styling with innovation, the Celsi hang on the wall electric fires are the ultimate electric fires with the most realistic and convincing flame effect on the market today! The curved and panoramic utilise sleek black glass to create a stunningly modern and contemporary finish and combine features that almost all other fires can only dream of having. These features include a changable flame picture, you can choose from Blazing Log, Smouldering Log or Flaming Coal flame pictures to create the perfect ambience and atmosphere, to add to this ambience, choose from either blue, orange or white backlighting to really draw attention to this fire and help set the mood. Celsi fires also feature a sleep timer which is a great feature meaning you dont have to worry about forgetting to turn the fire off. The volume can also be adjusted on this fire allowing the volume of the cracking log fire or burning coal fire to be turned up for ambience or down just for the flame image only. The Celsi fires are some of the most versatile on the market, creating a focal point in any room, a lounge, kitchen or even bedroom! 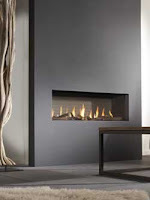 The Celsi fires are also unique, they dont only give a stunning flame effect, they also give you the sounds of a real fire, adding to the experience, further adding to the illusion of a real log fire hanging on your wall. The Celsi fires also come with a remote control as standard so with the press of a button you can control heat, flame effect, volume, brightness and the flame speed. With the period look and feel becoming ever more desirable as people move away from cold contemporary or traditional furnishings and more towards something that gives a feel of history and period architecture. Carron due an amazing range of period cast iron combinations and baskets which would be a perfect solution for anyone looking to recreate that 19th century period look and feel, but we are going to suggest a surround and cast iron insert for your reading pleasure. Traditional fireplaces are very much the focal point of the room, both in size and in appearance, their presence on the hearth demands attention, and when the fire is lit then the room is filled with the warmth and glow from the fire. The Carron Thakat fits the bill exactly for a period fireplace, made from solid Acacia wood, that during the 19th century would have been brought back from the colonies of Africa and Australia, this dark wooden surround stands proud on the hearth at 54inches wide and 41inches high. The dark wood finish of the surround, combined with the rustic detailing and corner pieces really gives the impression of an antique fire surround. The perfect companion to the Thakat surround is the Ce Lux cast iron insert, as shown in the image above. The Ce Lux surround is made of traditional cast iron and is available in the very traditional cast black or in the slightly more modern highlighted finish which accentuates the victorian detailing around the arch, this adds to the real period feel. The Ce Lux cast iron arch is available with a natural gas, lpg or solid fuel option allowing you to choose the fuel option most appropriate for you. With gas prices forever on the rise (seem to be constantly mentioning that at the moment!) 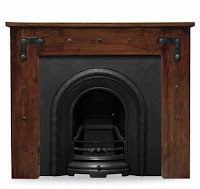 the solid fuel option is becoming ever more popular and I must say that this surround and cast iron insert combination really works with the solid fuel option, it gives a more lively flame picture and fills the room with more of that wonderful glow that warms everything in the room. With little over a week until Christmas and just 18 days to go until the rate of VAT is increased to a whopping 20%, a 2.5% increase over the current 17.5% rate means that the time to pick up a deal on a stunning fire or stove to keep you warm through the darkest parts of winter. You could save hundreds of pound buying before the VAT rise, its easy to imagine how far that saved money could go towards installation or the cost of running the fire or stove, especially now that NPower have joined a number of major utility suppliers in raising thier prices! Another arctic blast will bring more snow and bitterly cold temperatures to the UK this week, forecasters have warned. Temperatures will also fall as low as minus 10C (14F), with bitter winds sweeping across Britain from the north. The worst-hit areas are forecast to be north-east Scotland and eastern England, which were among the snowiest areas over the past two weeks. With many areas only just getting over the chaos left by snowstorms earlier this month, another band of snow is set to sweep down across the country on Thursday. Only the far south-west looks likely to escape the latest wintry blast. Andy Ratcliffe, a forecaster at MeteoGroup, the weather division of the Press Association, said: "On Thursday a cold front will move south across the UK. This will give rain initially, but it will turn to snow on its back edge." Scotland woke up to widespread icy roads yesterday after a freezing night, with the rest of the UK seeing temperatures in the low single figures. Ofgem has launched an official investigation into recent price hikes.Are We Paying Too Much For Our Energy? Half of the main gas and electricity suppliers in the UK :- British Gas, Scottish & Southern and ScottishPower – have increased their prices in recent weeks. It has also come to light that this price rise increases the profit margins of each of these companies quite considerably! 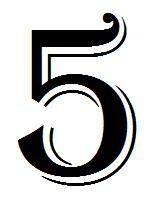 An increase of of around £25 per household, raising profit margins by over 35%! Last week, ScottishPower said its customers' electricity bills would rise by an average of 8.9% while prices for gas customers would increase by 2%, a considerable amount for even the most energy conscious household! Meanwhile, Scottish & Southern Energy (SSE) has put up gas prices by 9.4% since the start of December. 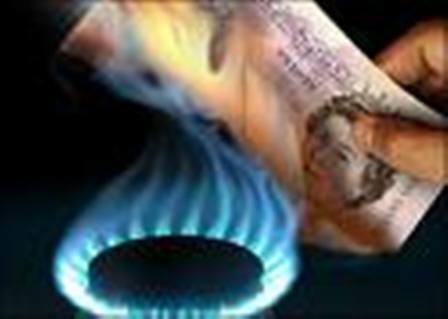 British Gas customers also face a 7% rise in utility bills this winter. Jeremy Cryer from Gocompare.com welcomed the Ofgem investigation. “The £90 profit margin Ofgem refers to could be the difference between a comfortable winter and a miserable one for a lot of households as we move into the most expensive period for energy bills,” he said. "This review shouldn't just be restricted to investigating recent price rises, however. 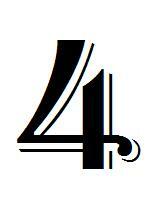 The energy market is a classic example of one which has been allowed to remain deliberately complex. 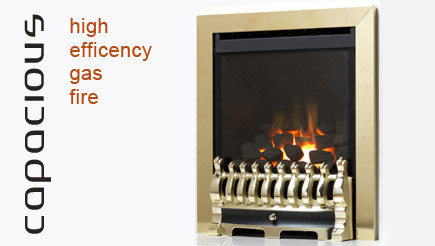 At times li ke this efficiency becomes even more important, the difference between an open-fronted gas fire that is lucky to achieve 50% efficiency and a glass-fronted HE glas fire such as the Apex Capacious at up to 89% efficiency makes quite a considerable cost difference to run the fire, especially during the winter seasons when these appliances are most depended on. Drugasar have just launched a brand new interior finish to thier Metro range of balanced flue gas fires. Breaking away from the black metal or natural interiors that have previously been available with the Metro range. They are now available with the Ceraglass interior finish, this new reflective black glass interior lining adds a deeper and more contemporary finish to these already stunning fires, with the flames reflecting back off the glass back panel, projecting more of that wonderful warm glow back into the room. This innovative new Ceraglass interior finish is so new we don't even have a picture of it yet! This finish is available now from The Fireplace Megastore. 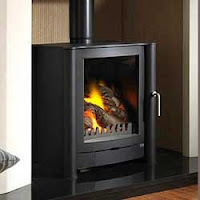 This is a list of the top 5 gas stoves currently available from www.fireplacesupermarket.com, this list has been determined by 4 main factors: efficiency, cost, heat output, styling. From the wide variety of stoves on offer it is almost impossible to decide between the vast range of quality options available. 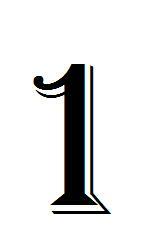 I hope this litte article makes thing easier for you. 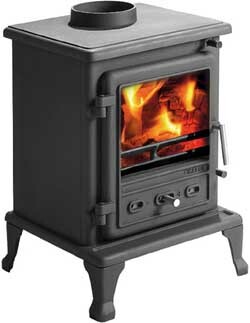 At number 5 it is the Tiger Classic Gas Stove, this solid cast iron gas stove is great value for money at just under £500 and with a 5kW heat output and 73% efficiency means it is great value for money, the one downside with this fire which places it at number 5 on this list is the relatively plain styling to the stove, but even this plain and simple styling features a large viewing window that offers an impressive view of the coal fuel effect inside. A worthy inclusion into this top 5.
contemporary stove is well worth a look, at 6kW of heat output the stove packs a hot punch and with 78% efficiency is cost effective heating. Available in 18 different colours and with optional stainless steel legs, the FB1G will fit in with almost any style of decor. And with a price of just under £900 is slightly more expensive than the Tiger but comes with a remote control as standard and offers a more contemporary finish that could fit in with most styles of decor. 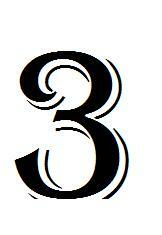 Half way through now and coming in at number 3 is the Gallery Firefox 5 gas stove. 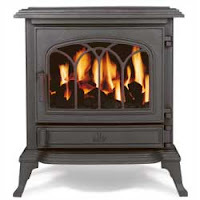 This is one of the most affordable gas stoves on the market today with a price just over £450. This relatively small sized stove does give out a fair amount of heat, and is no slouch at 73% efficiency. It also is unique as the whole main body of the stove is made in a single piece and incorporates a 'clear view' window that keeps the window clean to allow that gorgeous orange glow to escape. The only drawback is to this fire is the smaller size of it, perfect for a smaller living space, but doesnt quite offer the same visual impact of the larger stoves. 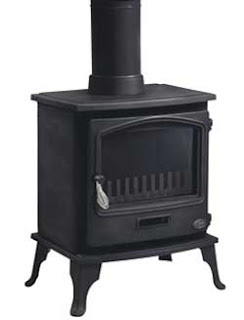 Coming in as the runner-up on this list is the Broseley Canterbury , this stove is available in a gas, electric and multi-fuel option with the gas version our focus in this article. Developing a maximum heat output of 4.6kW and running at 80% efficient so does not require any additional ventilation into the room. The Canterbury is an effective, efficient and affordable gas stove that has a traditional styling and with a variety of door trim to add that individual element to the stove. This stove, along with the others in the Broseley range are definately the first place to look for a traditional looking stove so deservedly come high up the list, All are available with an exclusive cashback offer when purchased from FireplaceSupermarket. And Coming in a Number 1 is the Drugasar Solo Balanced Flue Gas Fire, this stunningly contemporary gas stove from Drugasar is amoung the best on the market at the moment, developing 4kW of heat with an 82% efficiency rating. 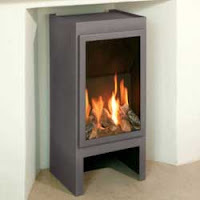 The Solo features a large viewing window that offers the best view possible of the flames inside, finished in high-quality anthracite and also coming as standard with a remote control this fire is certainly one of the first places to look for a contemporary gas stove and... for that reason it is top of this list.